This is the first time that the spiritual music group SAVITA from Kazaksthan was on tour in Zurich, Switzerland. 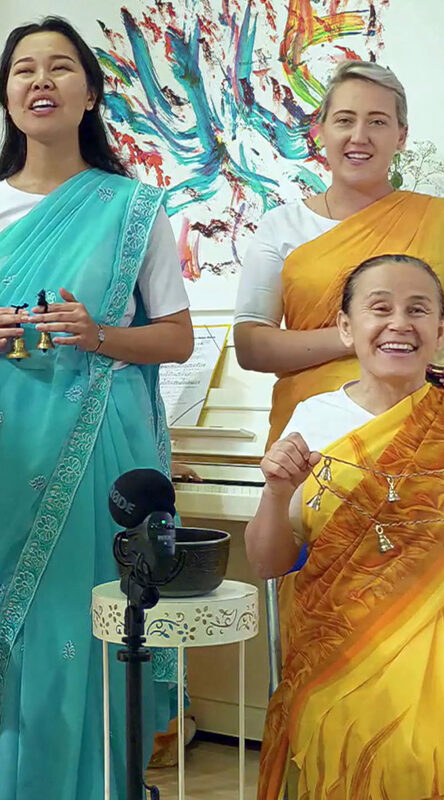 They are all disciples of Sri Chinmoy and played and sang their master’s melodies and also used two native instruments of their country: the Kobyz (a kind of violin) and Dombra (a kind of mandolin). The members of the group are Akbota (leader), Anara, Nazerke, Akkerbez, Assemgul, Varvara and Anna (currently living in Germany). Filmed and edited by kedarvideo, Switzerland.